It is possible to use ASIX products with the USB interface under Linux. 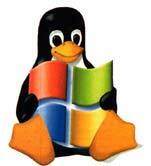 For PRESTO and FORTE programmers is Linux support described in the user's guide (since software UP ver. 3.24 from 2017-02-02). For SIGMA2/SIGMA and OMEGA logic analyzers is Linux support described in the user's guide (since software ver. 2016-12-15). Note: For various Linux distributions and their versions might the particular steps slightly differ. Feel free to ask us for a help if necessary.